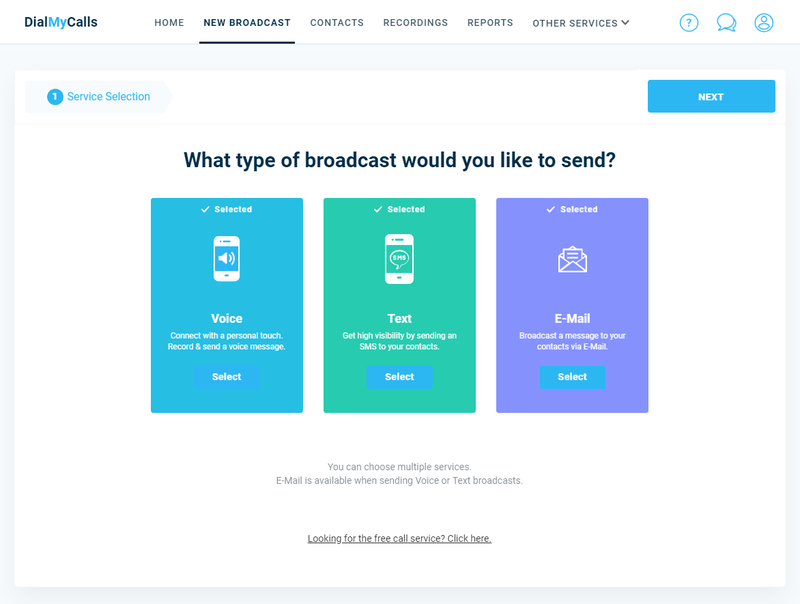 Customers now have the ability to send a voice broadcast, SMS text message broadcast, and an email broadcast to all of their contacts at the same time! Version 3.0 introduces a brand new, streamlined design that makes sending out mass notifications easier then ever before. Upon logging into your DialMyCalls account and adding contacts to your account, you are now ready to send them a phone call, text message and email by following a few simple steps. Who do you want to receive your broadcasts? Easily select individual contacts, a certain group of contacts, or you can use our “Select All My Contacts” option to send a phone call, text message and email to everyone in your account – you must have an email address associated with your contacts in order to use the emailing feature. 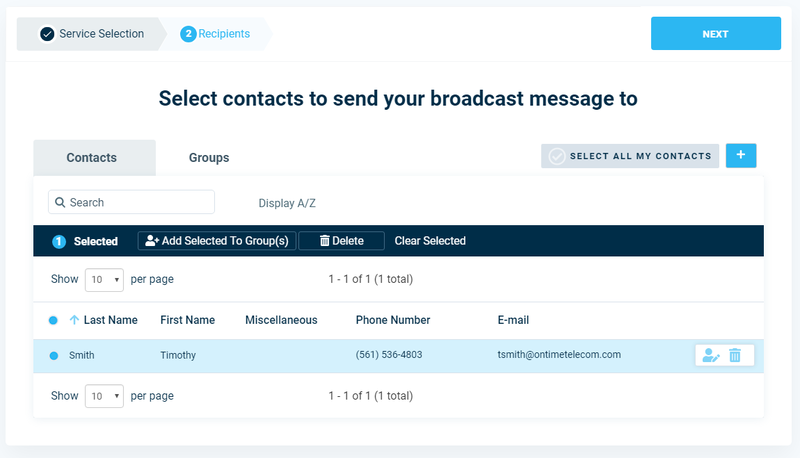 Above Image: Quickly select the contacts that you’d like to receive your broadcasts. Let’s go ahead and set up the voice broadcasting aspect of the notifications you are going to send out. The first thing you will want to do is select the Caller ID that will be displayed when your recipient receives a phone call. You now have the ability to add our 5 advanced features (listed below) to your call – these features are completely optional! Above Image: Select your caller ID and add any of our optional advanced calling features to your broadcast. The final step for the voice broadcast portion is to select the recording that you want to send to your contacts – if someone answers the phone it will play back the recording immediately but if it detects an answering machine, it will wait for the beep and then leave the message. Above Image: Select the recording that you’d like to send your contacts. Now that we have set up the automated phone call aspect, let’s go ahead and set up our SMS text message. You will be asked to select your “SMS Keyword” which is going to be your unique identifier when sending out a text message through DialMyCalls – all texts will come from our shortcode, 80123, and your keyword will be displayed in parentheses before your typed out message. Once you’ve selected your keyword and typed out your text message, go ahead and click “Next” to proceed to step 6. Above Image: Set up the text message that your contacts will receive. 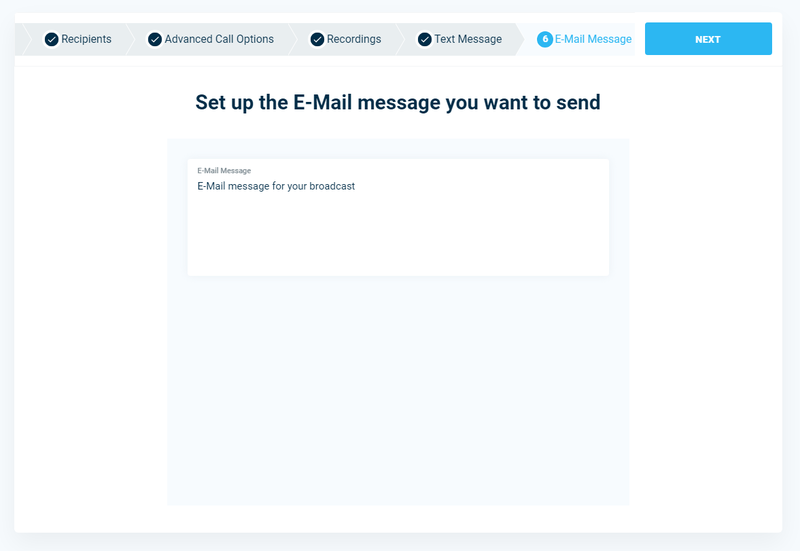 Version 3.0 of DialMyCalls now offers the ability to send out a customized email message. Previously, customers were able to send out an email but it was a template that did not have the option to customize the message being sent. Type out the email you’d like to send out alongside your phone call and text message – once you are done click on the “Next” button to proceed. Above Image: Type out a custom email message that your contacts will receive. Your automated phone call, SMS text message and email broadcast is now set up – the only thing left to do now is decide when you want to send it to your contacts. 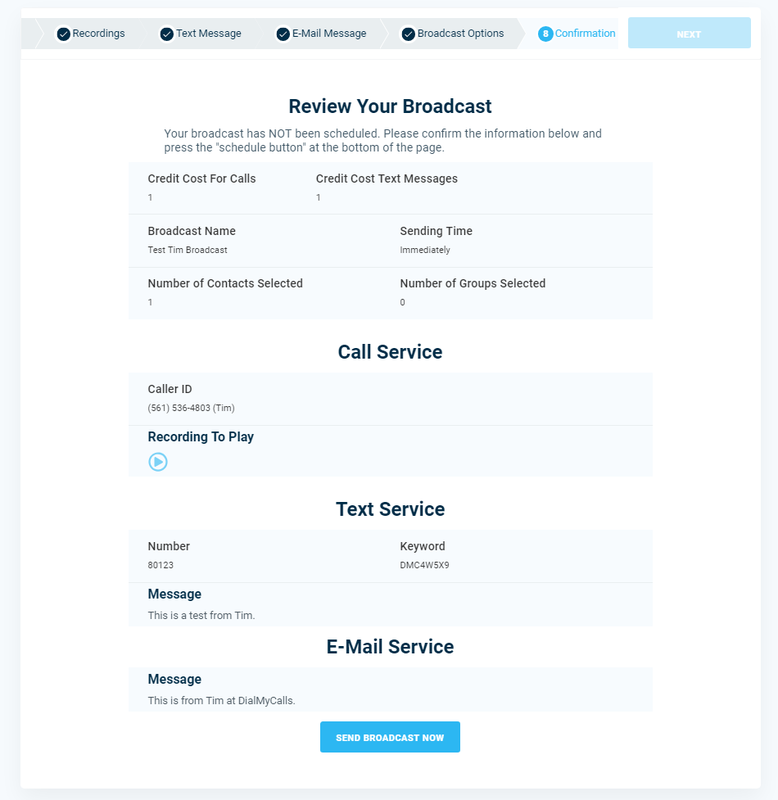 DialMyCalls will allow you to send your broadcast immediately or schedule it for a later date/time. 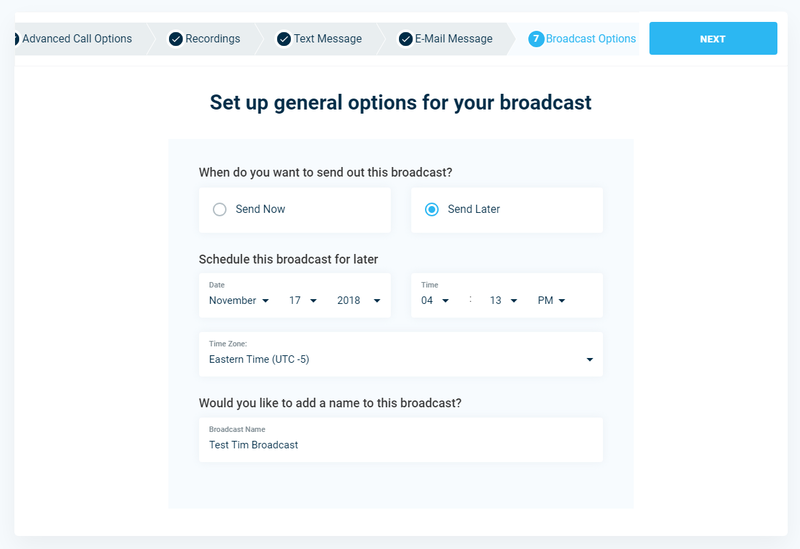 From the menu, choose when you’d like your broadcast to go out – you also have the option to name your broadcast which is strictly for your records and will be used to view the detailed report. Above Image: Send your broadcast out immediately or schedule it to go out at a later date/time. 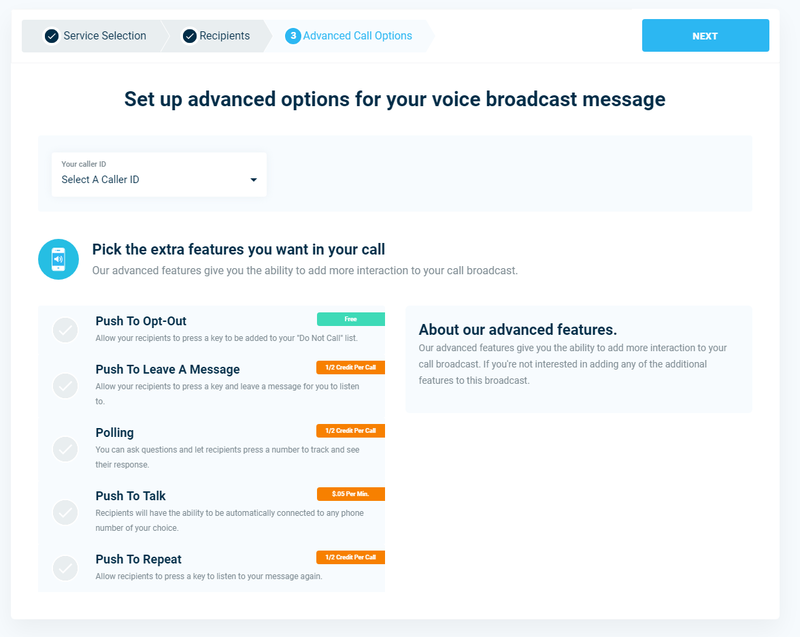 You have reached the final step of setting up a broadcast with DialMyCalls! Keep in mind that on the confirmation step, your broadcast has not been sent out or scheduled yet, you need to review all of the information for the broadcast, including the contacts, phone call recording, text message, email, and the time that you are sending it out. If everything looks good you can scroll to the bottom and click on “Send Broadcast Now” or “Schedule Broadcast” to complete the process of sending out a phone call, text message and email to all your contacts. Above Image: Verify your broadcast settings before it goes out to all your contacts at once. 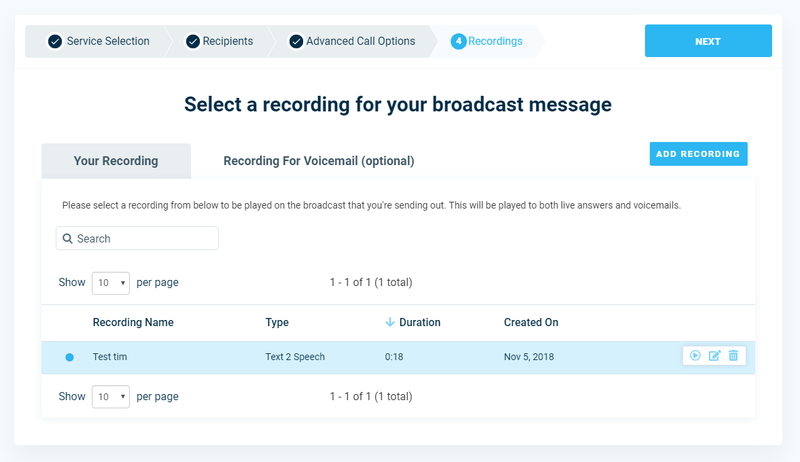 Once the broadcast you just set up is complete you will be able to view detailed reports for the three types of messages that were sent to your contacts – there will be an individual report created for the automated voice broadcast, SMS text message broadcast and email broadcast. Above Image: Check the status of all your messages with our detailed broadcast reports. 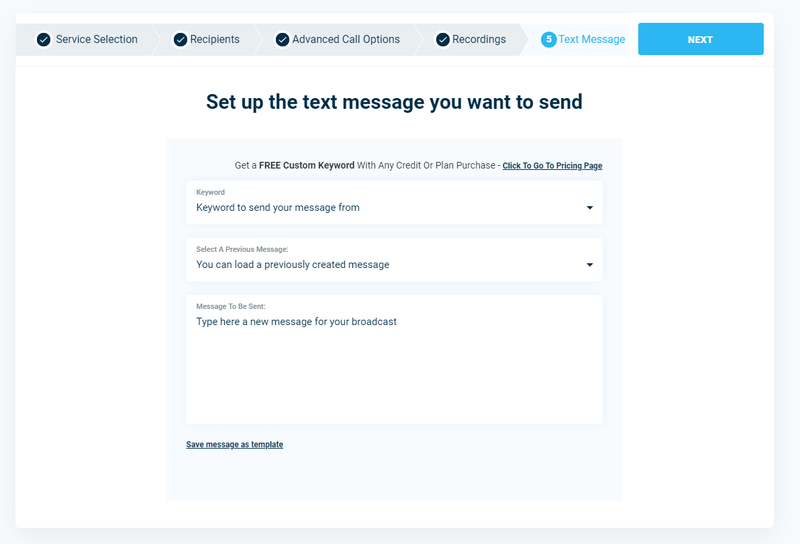 With the brand new version 3.0 of DialMyCalls it is easier than ever before to send out an automated phone call, text message and email to all of your contacts at once. Get started today by signing up for a free account! If you have any additional questions, please contact us for more information.